Designed to be completely free-standing on its own integral base; the 66B/68B features ground granite and stainless steel construction combined with a large digital camera and touch screen menu system – these new electronics provide operational and functional simplicity that is second to none. All axis movements on the 66B/68B are servo controlled with absolutely no operator contact with the column. This drastically increases machine accuracy and repeatability over similar machines which incorporate the movement via a manual handle mounted on the column. Also included with the 66B/68B models is our TdSix software package. 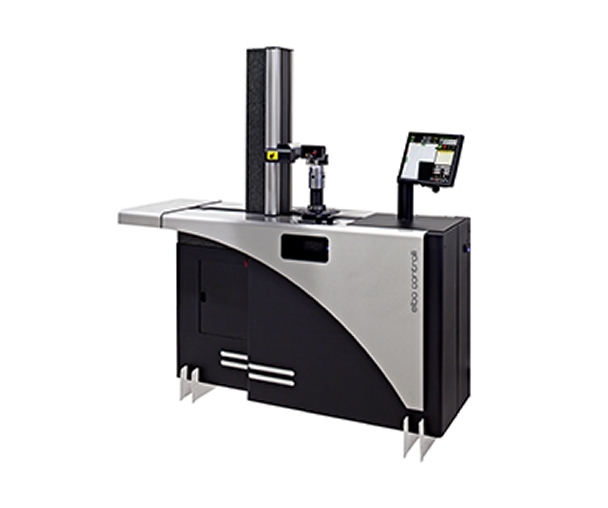 Working via your DNC system, TdSix converts measured tool data into CNC code for direct loading into the machine controller and associated tool offset pages. The 15" Colour Touch Screen on the 66B/68B is part of the UBUNTU Linux Operating System that includes the ability to zoom in at 30 x magnification via the high resolution camera.